Darum Camping is located in St. Darum, between Esbjerg and Ribe. 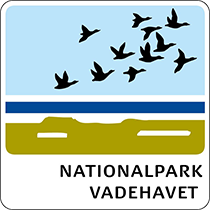 It's about 1.5 km to the Wadden Sea and the Sneum sluice, where there is a large bird sanctuary within the dike. It’s about 500m to Sneum River, where there is good fishing. Darum Camping is located in a mature hardwood forest surrounded with lovely nature. At the campground there are wind sheltered, cosy sites with dense vegetation, but also options for more open sites. In the shop, we offer a broad range of products.